On our upcoming Vegas trip, we are excited to get the opportunity to eat at Johnny Rockets at the Venetian Food Court. The first Johnny Rockets opened in 1986 in Los Angeles with a belief that everyone deserves a place where they can escape from today’s complicated world and to experience Americana’s uncomplicated goodness-in fact name originated from the timeless Johnny Appleseed story. Each year, Johnny Rockets serves 17 million hamburgers, 11.3 million soda pops, 8.3 million shakes and malts, 8 million pounds of fries, 2.1 million orders of onion rings and 815,000 gallons of ice cream. This is truly the place for classic “American Cuisine” with a huge selection of their 1/3 pound hamburgers, rocket-melts, sandwiches, and starters. To complete the Johnny Rockets’ Americana experience make sure to grab some mouth watering shakes, malts and floats available in dozens of different flavours. We love the general atmosphere as well as the delicious and fun food.We don't have Johnny Rockets where we live, so take full advantage of them when we travel! 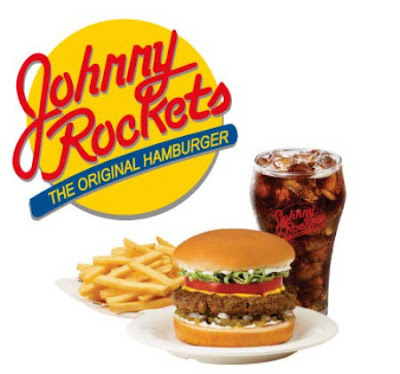 Click here to find a Johnny Rockets location nearest you. I LOVE JOHNNY ROCKETS! Too bad we don't have one here in Hawaii :( Every year we take a trip to California to do the whole Disneyland deal. When we go to Knotts Berry Farm we always eat lunch at Johnny Rockets!. My favorite is the Patty melt with a Strawberry shake. OOOOH now I'm having a serious craving! Yes, they DO have good food. My daughter(19) is so jealous we are going there- as she won't be coming with us. AdvancedWriters will write your paper fast and professionally. Here's An Easy Way To Search The Site!